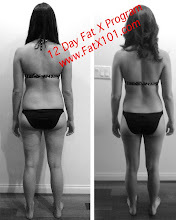 My 12 Day Fat X Program starts with FX Workout 1. It kicks off the first day of getting super fit and burning off that stubborn body fat. Good bye fat, hello toned, lean, fit and healthier body. Why does this fat burning fitness plan work so well? The answer to that is a bit complicated but I'll try to simplify it. The Fat X Program is based on the most proven and effective techniques that the sports sciences have discovered. These workouts, exercise, and fitness techniques are organized and condensed into a 12 day period to work together synergistically. This synergistic effect, maximally and efficiently stimulates your body's metabolic processes which in turn produce advanced results quickly. It's almost magical how body fat comes off, but it's not magic! It does take effort but that effort will pay off big time! 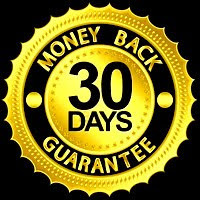 That's why I have a 30 Day Money Back Guarantee on my program! In basic terms, I took the best of everything that I've learned through my education and experience in the fitness profession and I put it together in one 12 day program. I have over 15 years of professional training experience and I own and operate FX Training Pasadena, my private fitness studio. Here's a little secret. I designed the Fat X Program for me! I designed it specifically to blast my metabolic processes effectively and efficiently. No time consuming and or unnecessary fluff and excess exercise! Whenever I need to get lean and mean for a vacation, a sporting competition or just want my abs to really shine, I put myself on the Fat X Program! I highly recommend taking it easy the first time through the fat burning workouts and through the Fat X Program. While it was designed to be completed in 12 days, you don't need to complete it that fast to get the amazing fat burning and weight loss (fat loss) results. If you have any questions, feel free to contact me or comment below with a Disqus account.